The 510UB is a high quality, great looking bridge from Gotoh's flagship 510 range. The bridge is a wrap around tailpiece design with individually intonatable saddles, on top of that there is a set screw behind each of the bridge studs that can be adjusted to move the whole bridge backwards and forwards and also slant it to add more intonation room to heavy bass strings. 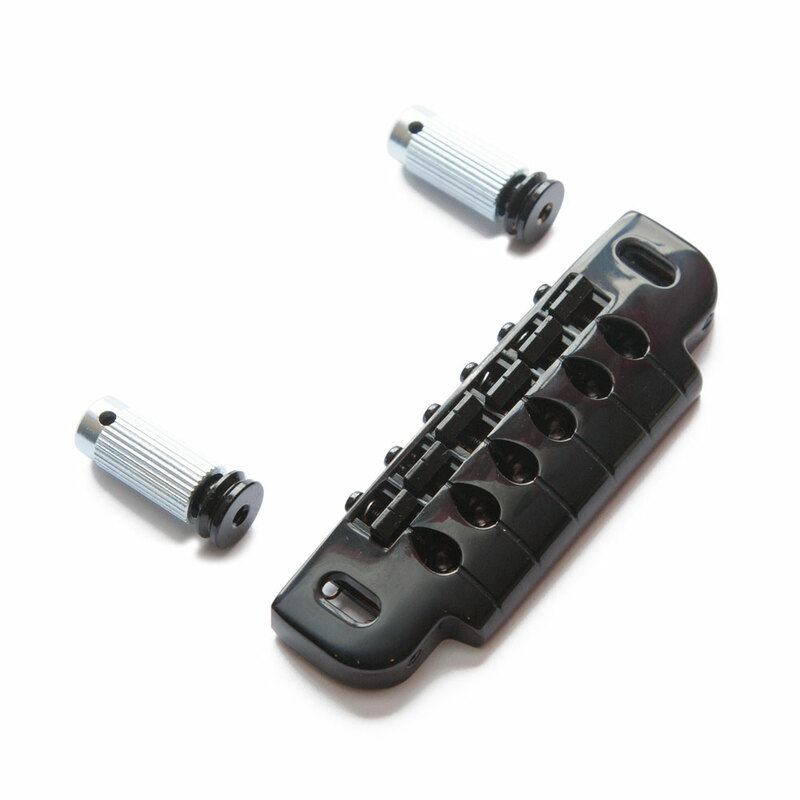 The large bridge stud heads slot into the bridge holding it in place and introducing a large contact area for sound transmission from the bridge, the studs can also be locked in to their body anchors to give the most transmission of sound to the body. The whole bridge can be moved forward and backwards separately to the saddles to aid intonation.